Gateshead Central Taxis are Ideally Positioned to Dealing with Taxi Transfers to and from Newcastle Airport, Offering a Dedicated Airport Drop off or Pick up Service. We can Arrange an Airport Pick up within 30 minutes of the plane landing from most Major UK Airports. Book now for a Professional, Reliable and Affordable Taxi Transfers Service. Set Prices from Newcastle Airport to Anywhere in Gateshead; Car £14, 8 Seater £18, 16 Seater £30. Meet & Greet Service also Available for an addition £5. No Parking Fees. We provide taxi transfers to & from Newcastle Airport to west Northumberland, including Hexham in Tynedale & the Hadrian's wall. We have a large fleet of different vehicle types from taxis to minibuses, mini coaches & everything in between. Getting a taxi to Newcastle Airport is probably one of the most hassle free options you have. Granted, taxis can sometimes be dear, particularly long distance journeys but by taking a taxi to the airport you needn’t worry about airport parking or returning a hire car. So as long as you choose one of the reputable companies at the top of this page, you’ll be in safe hands! * Please note that these prices are only estimates and updated in August 2017. Fares can vary depending on routes, taxi firm rates and time of journey. Please contact a firm directly for a quotation. The taxi rank which is immediately outside the terminal building, near the domestic arrivals area. The only firm who can pick up and drop off here are the official taxi partner of Newcastle Airport, Airport Taxis. Feel free to make your way to the taxi rank and book in person to be allocated a vehicle quickly. Please take into consideration that in peak times you may have to wait for a taxi to become available. If you very time constricted then we recommend pre-booking a taxi; not only will you have a guaranteed lift, you might also save money. If you’ve booked with another taxi firm, make sure to arrange the pick up/ drop off location when you book. Saloon taxis at Newcastle, often an Audi or mid-range Mercedes, seat a maximum of four people, inclusive of luggage. The vast majority of Newcastle taxi and transfer firms will allow you to book online with a credit or debit card, ensuring that all fares are settled before departure. Parking charges are paid for in advance by the taxi driver. Newcastle does operate a free pick-up and drop-off service, however, with a maximum stay of five minutes. Overstaying is charged at £1 for an additional twenty minutes, and £2 for half an hour. There are 120 parking spaces in front of the terminal, providing speedy access for disabled people and flustered flyers. The pick-up and drop-off car park is well sign-posted on the airport approach roads. Premium Newcastle Taxis… Porsches, Jaguars or BMWs if you’re feeling flush, consider hiring an executive taxi. Prestige services come complete with an experienced chauffeur, well-dressed and eager to take you wherever you want to go, and a range of additional benefits, including in-car DVD players, newspapers and bottled water. A handful of transfer specialists may also provide limousines, perfect for that awards ceremony or school prom. A complementary meet-and-greet service is bundled with all elite transfer packages, helping you feel like a movie star at the airport when you find your chauffeur holding a card with your name on whilst your fellow travellers struggle to hail a black cab in the bitter northern rain. Top tip: Newcastle Taxi firms also provide an unmetered service (common in the north east), separating them from private-hire minicabs and hackney carriages, which can charge up to 30% more than a transfer company. Newcastle International sits in the town of Woolsington, six miles northwest of the city centre. The airport is one of the smallest regional airports in the UK, possessed of a single terminal and one lonely runway, but around five million passengers a year choose to fly from the Tyneside airport. An airport transfer to the city can be priced anywhere between £20 and £25 for a standard saloon, and terminates at the Eldon Shopping Centre, near Tyne Bridge. Estate cars are a tad more expensive, whereas a minibus could set you back anything in excess of £30. Return trips are charged at double rate, but some firms may knock a pound or two from your fare if you book in advance. Executive cars are slightly cheaper than at other UK airports, coming in at around £30 for a pretty Mercedes E Class, up to about £50 for its bigger sister, the V Class people carrier. All good news for travellers hoping to impress a first date or a business contact. Very large vehicles (6-14 seats) may require personal attention, so be sure to contact your favourite taxi firm before filling out any online booking forms. Newcastle is England’s last great outpost, just 100 miles shy of the Anglo-Scottish border. Whilst the city has is own attractions, many tourist information centres will also direct you towards two neighbouring cities, Gateshead and Sunderland. The Metro Centre in Gateshead, another shopping complex and the largest of its kind in Europe, is also worth a visit. 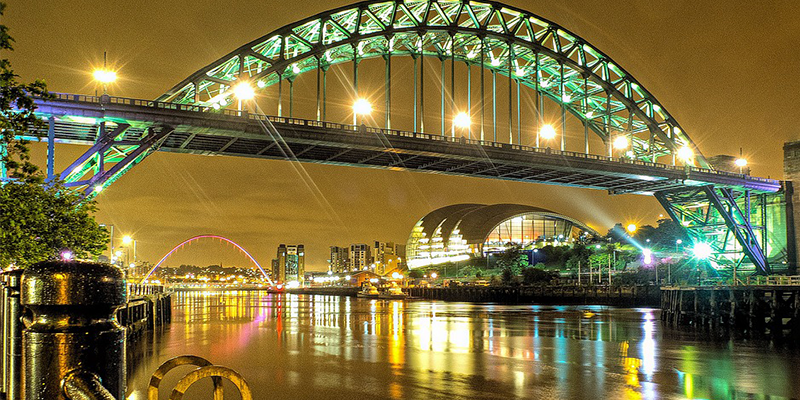 Gateshead is to the south of the Tyne River, approximately 10 miles from Newcastle International. A taxi from the airport should cost no more than about £20 to £25 each way but we recommend agreeing on a price in advance and where possible. The Angel of the North is probably the most well-known attraction in the northeast, despite being one of the youngest. 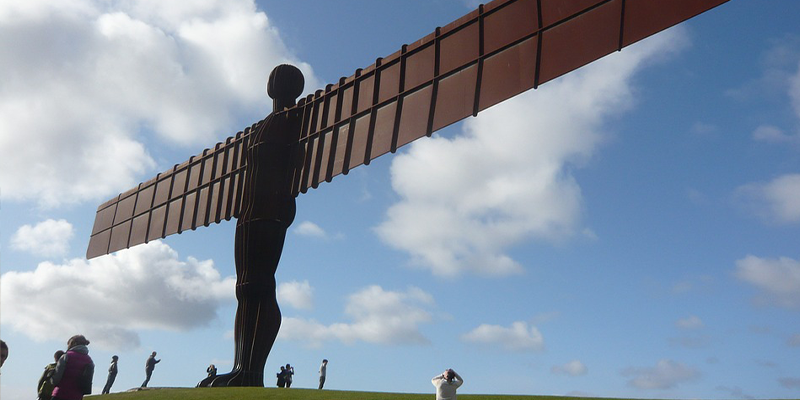 Located in Gateshead, and overlooking the A1 road, the angel is a 20-metre tall steel figure, wings spread in an empty embrace. A taxi from the airport to the feet of the angel (a total of 13miles) costs in the region of £25 to £35. Newcastle Quayside is host to a string of bars, clubs, hotels and eateries, all within walking distance of each other. The Quayside constitutes a large part of the city’s wider appeal, and operates in tandem with the aforementioned Eldon Shopping Centre nearby. Quayside is eight miles from the airport. England may not be well known for its beaches, but the tiny resorts on Wearside in Sunderland are award winning and completely different from the muddy quagmire at Grimsby or the busy sands on the south coast. See it for yourself, Sunderland Council have set up a live webcam so you can see the beach any time you like. A Newcastle Taxi may not be the obvious choice here, but they work as well as your other transport choices. Roker Beach, a mishmash of cliff stacks and golden sands, is home to the Sunderland International Airshow, an annual event that sees planes skim the Roker waves every July. Roker is 18 miles from Newcastle Airport. Seaburn and Marsden Bay also come highly recommended – a short trip up the coast from Roker. Finally, the local football teams have impressive stadiums within a short drive of the airport. 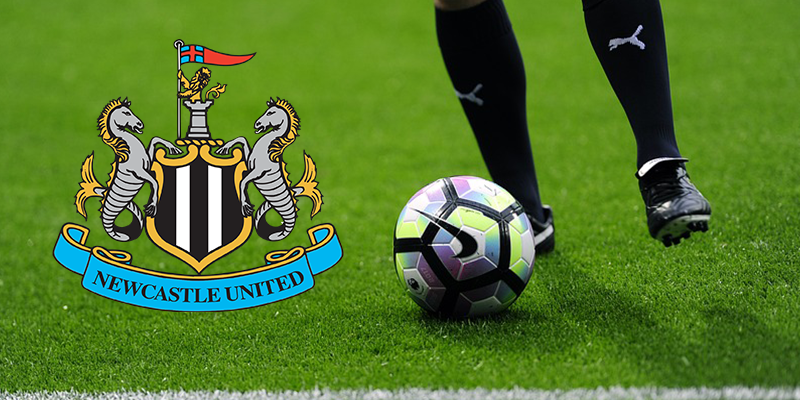 St. James’ Park, the home of Newcastle United, is seven miles from the airport. The Stadium of Light, home venue of Premiership side Sunderland, is 10 miles southeast of St. James’, and costs about £50 in a taxi from the airport. Match days can get a little hectic so be sure to plan your trip.